op.AL installs new work, Flat Farms / the Mosaic Figuration of Roman Courtyard Agriculture, as a part of the American Academy in Rome's annual festival for fellows, Cinque Mostre the Tesseract. The new piece, Flat Farms, explores the figuration and tectonics of the Ancient Roman espalier practices of mosaic and espalier. MORE. op.AL displays the design work for a new gallery expansion in Little Italy. 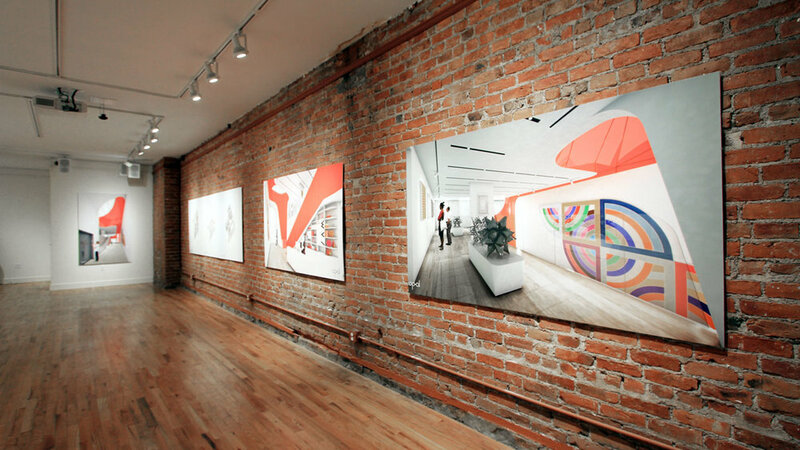 The gallery features larger format renderings prepared by the office as well as a model. The work will be on display through March 2018 at 187 Grand Street. More news on the development was recently released on CURBED + YIMBY. "What do you want, duck?" in PIDGIN Vol 21. Jonathan presents structural folding research at Texas Society of Architects Emerging Design + Technology Conference 2016 in San Antonio. op.AL submits a proposal for the Harbor walk in DC arts festival utilizing ecological sampling for figural generative phenomenolgy. Jonathan interviewed by CUNY.TV for a segment on "Study with the best / Things CUNY built" for op.al's summer pavilion work with The Spitzer School of Architecture, City College of New York and Fresh Kills Park. Jennifer and Jonathan lecture at the University of texas at Austin on "Ambiguous Autonomies and the Folly of Contingency," fleshing out the current work of op.AL as situated in the historical evolution of the folly between Architecture and Landscape. The invited lecture was a part of the Goldsmith talks sponsored by the University. op / Arch Land receives a grant from the New York State Council of the Arts to research the roof-scape of the Gowanus Canal Watershed in Brooklyn, NY. The grant in the category of Architecture and Design is awarded annually to practicing architects with a proven research agenda focusing on NY. More Soon. op / Arch Land constructs the winning entry to the Field Constructs Design Competition as a part of Austin East November Arts Festival at the Circle Acres Nature Preserve. 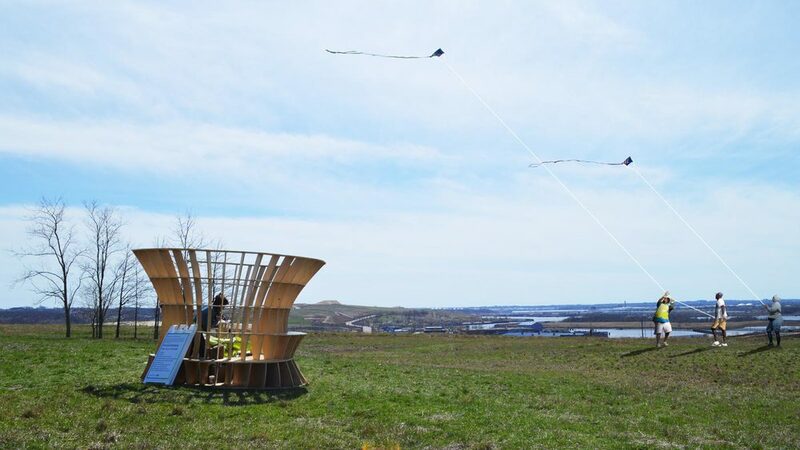 op / Arch Land collaborated with local organizations including CookShop, The Thinkery, and Ecology Action. Plastic Flowers featured on Design Boom! OP.AL combines existing geometry research and site specific condition for peace memorial proposal in Washington DC. Utilizing a double periodic Mobius Topology the sculpture symbolizes the circular nature of relationship building in world cultures. The ring’s surface is twisted such that its back side is connected to the front, making it an endless surface with a double-sided expression. Jonathan to Present at the ACSA Fall Conference. Jennifer to Present at the ASLA Annual Meeting. Jonathan and Jennifer pen an original article in PLOT Vol 4: Wastescapes, on the 20th Century Hidden Hygiene Footprint of New York. The article includes an original timeline of New York's waste infrastructure development. The Function of Style, a compendium on 21st century architecture is now available for Pre-Order in the United States. The volume utilizes analysis of contemporary projects against modernist precedents to argue that Style is an integral way that an Architect engages with the principles of the building and not merely a superficial aesthetic layer. Jonathan was an assistant editor on the project from the years 2010-2014. OP.AL will be displaying a model from a recent competition entry in Rhode Island School of Design's faculty biennial exhibition at the RISD Art Museum in Providence Rhode Island. 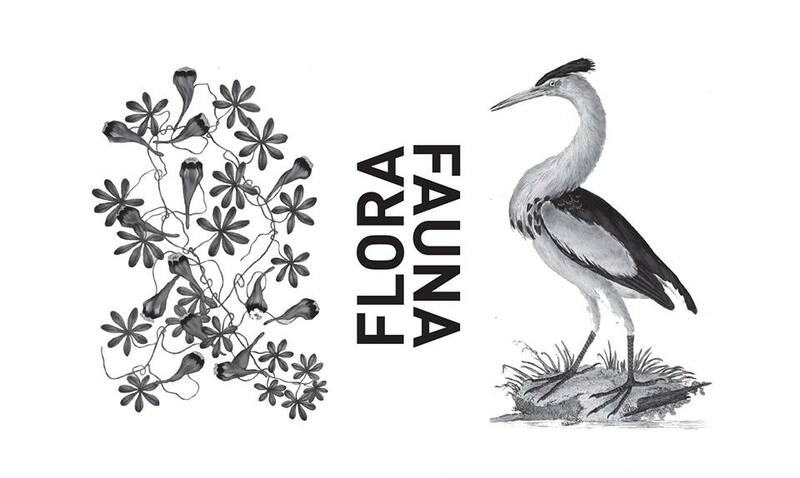 The exhibition will be open to the public on Friday, February 20, 2015 through March, 22, 2015. OP.AL along with Johanna F. Barthmaier and Brian Payne submitted a proposal to the Annual Call for the Redford International Garden Festival. The proposal focused on integrated fields of grain with human scaled periscopes allowing visitors to play within the fields of grain. op.AL is a Architecture firm and Design practice located in New York City, formed by, Jonathan A. Scelsa + Jennifer Birkeland. The office approaches design problems by exploring the oppositions established by the vantage points of our two disciplines of focus, resulting in design solutions that strive to disintegrate the subject-object relationship conventionally established between Landscape + Building. Our investigations range in scale from regional planning and infrastructural design solutions to the domestic. Clients include the City of Salem, Circle Acres Nature Preserve in Austin, New York State Council of the Arts and New York Parks and Recreation. Objects as placed and placeless, situated and siteless, integrated and discrete. Affect oriented perspectival Immersion and effect objectified parallel projection. Equilibrium as rooted in time, place and culture while changing, adapting, growing. For gen­eral inquiries and new projects, please leave us a message in our Contact Page. For infor­ma­tion on jobs and intern­ships, email jobs@op-al.com with a cur­rent port­folio and CV.